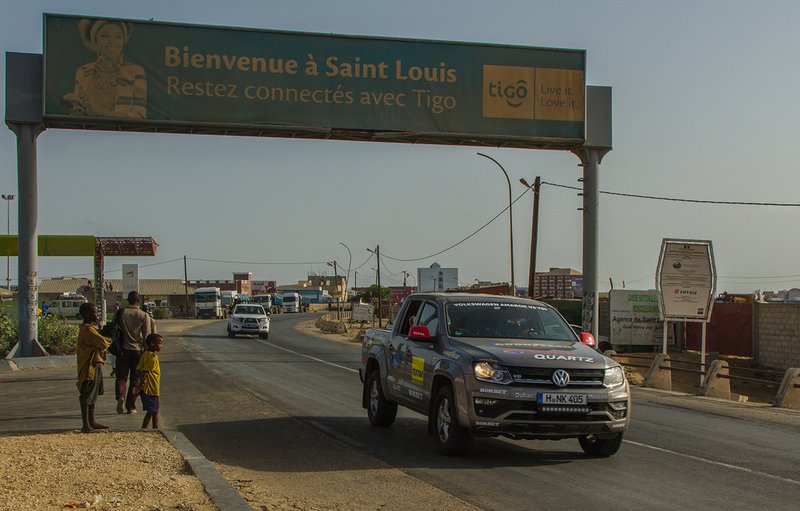 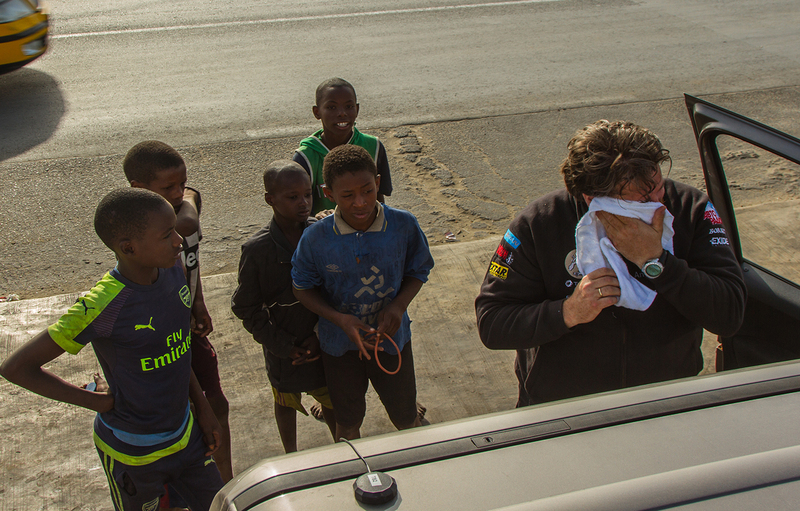 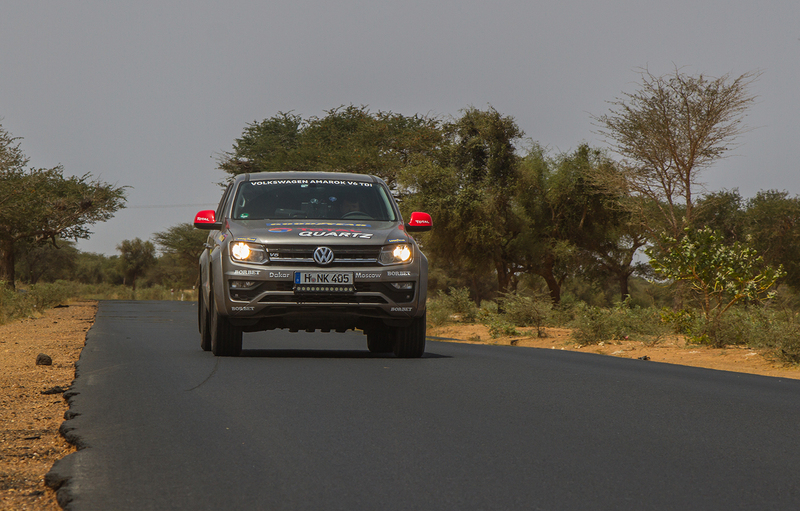 We started our way to Dakar from Saint-Louis early in the morning. 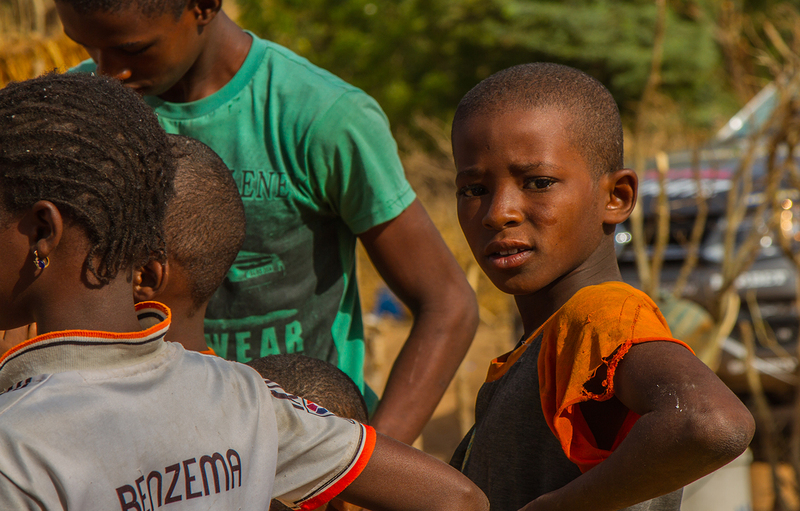 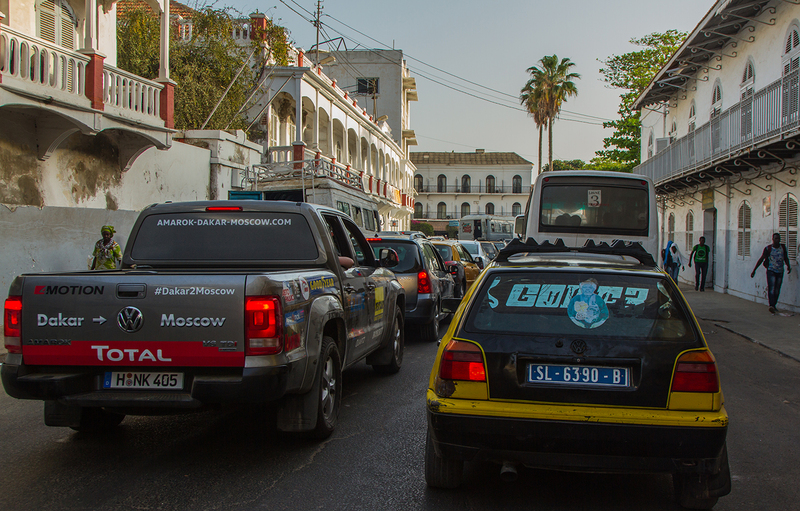 But when we left our hotel, we were immediately stuck in the traffic jam before the main bridge “Pont Faidherbe”, which crosses the Senegal river and connects the historical part of the city with the new one. 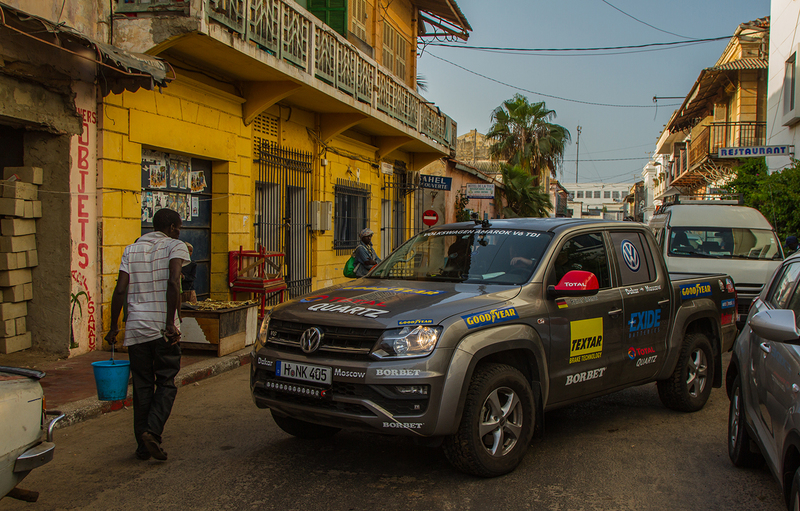 So we had time to admire the french architecture of Saint-Louis once more. 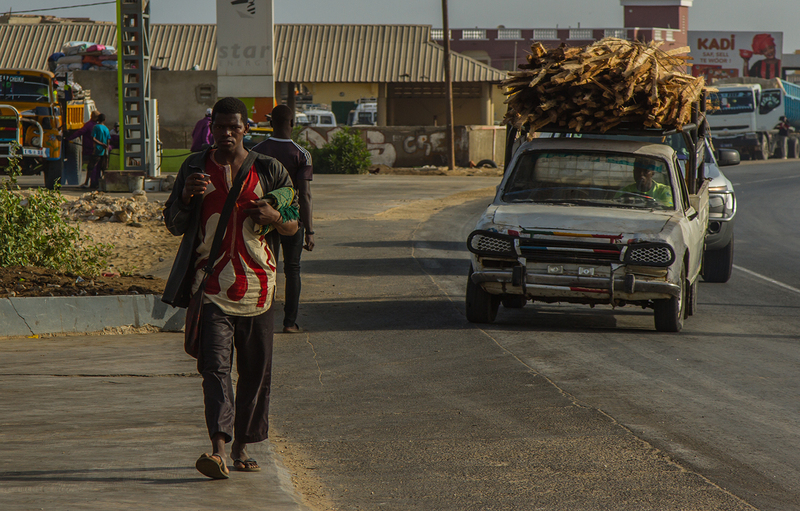 Also, you can see a lot of old or rusty cars, but luckily, not as many as in Mauritania. 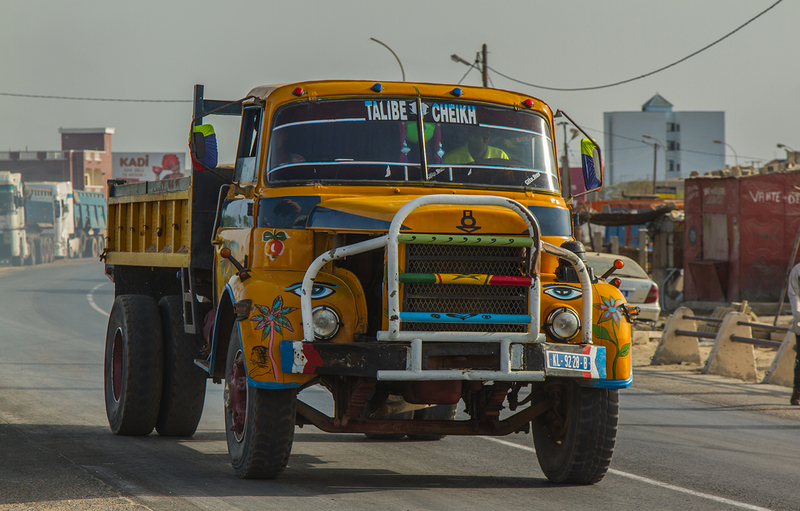 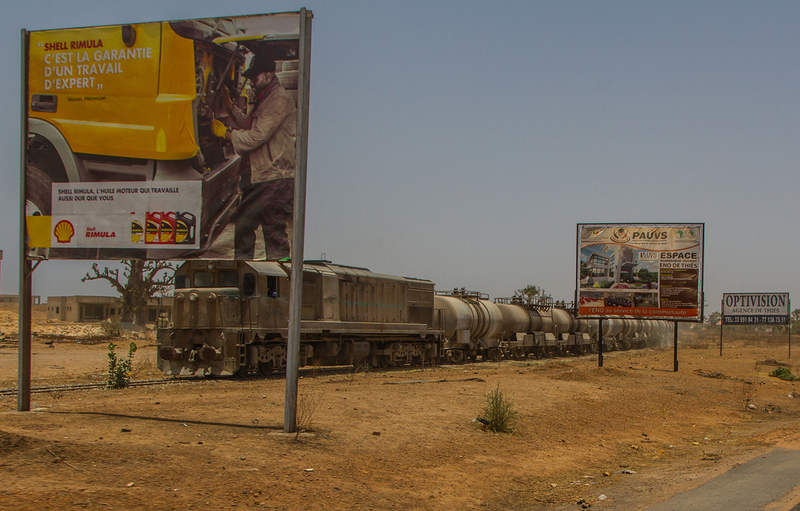 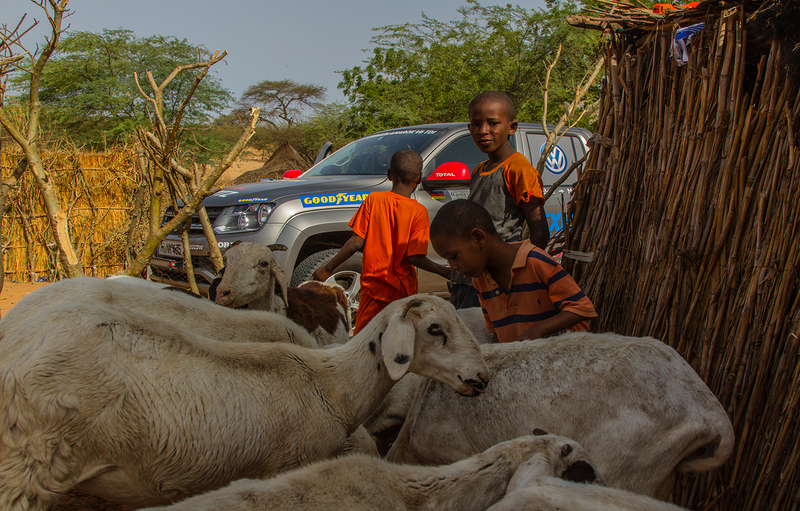 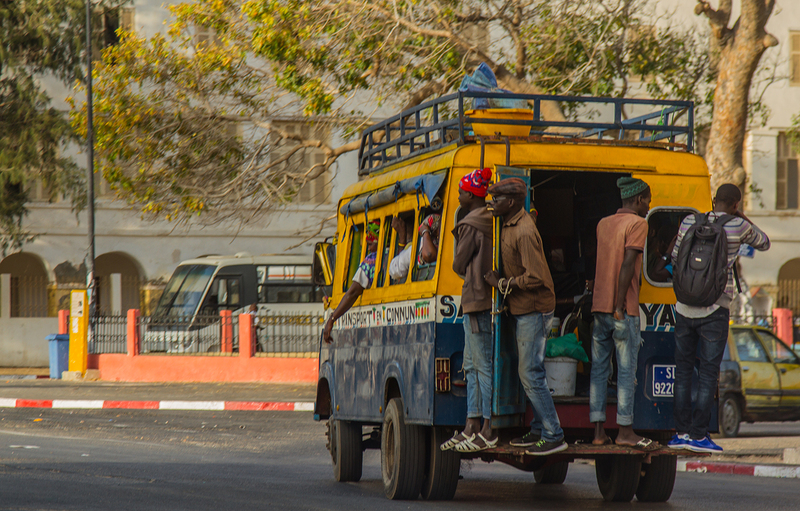 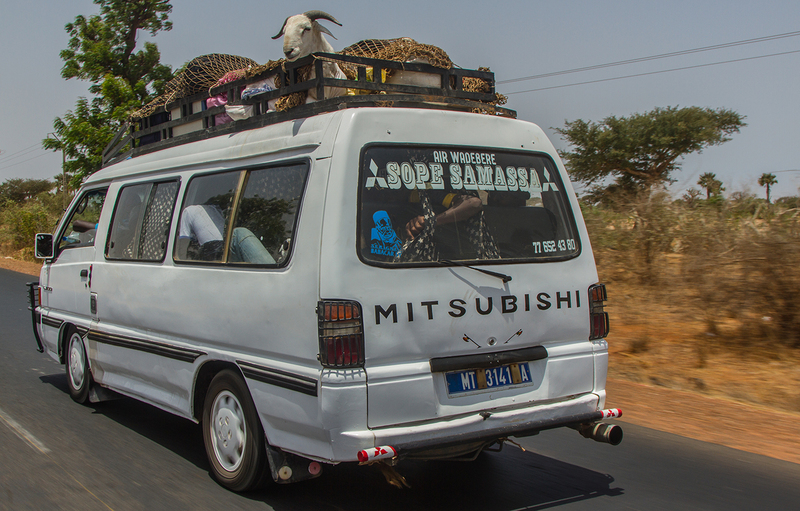 But there is one interesting thing, that unifies Senegalese and Indian or Pakistani drivers in their habits – all of them like to decorate their buses and trucks. 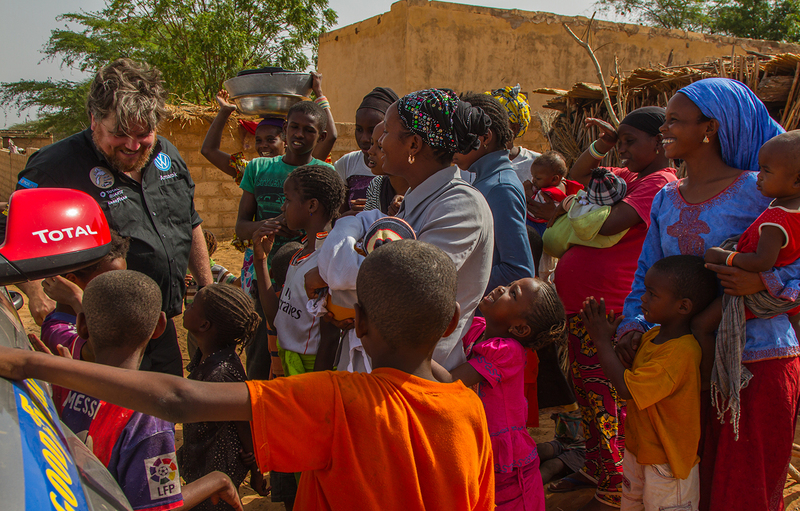 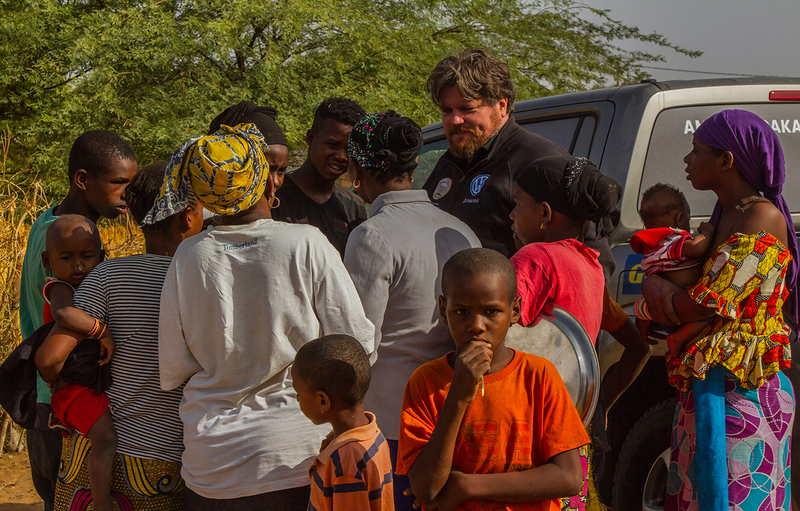 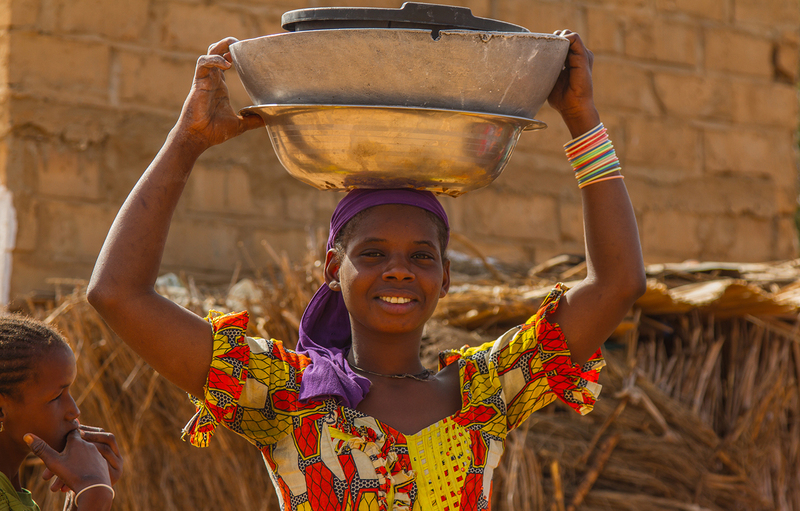 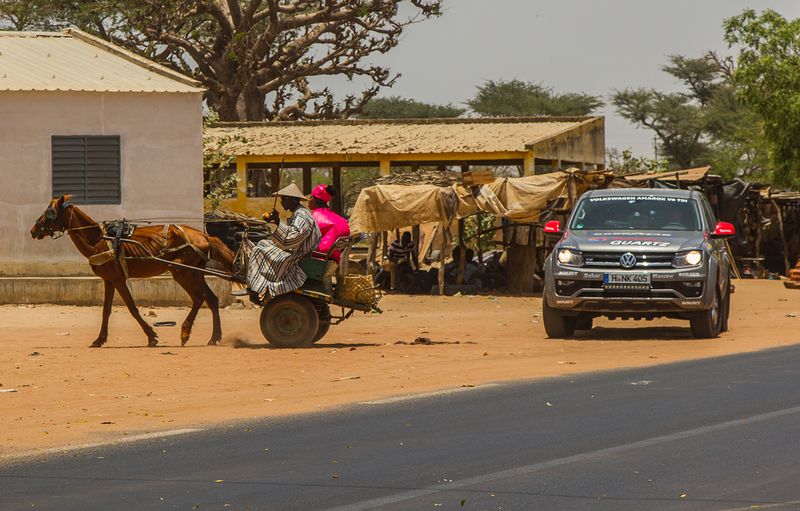 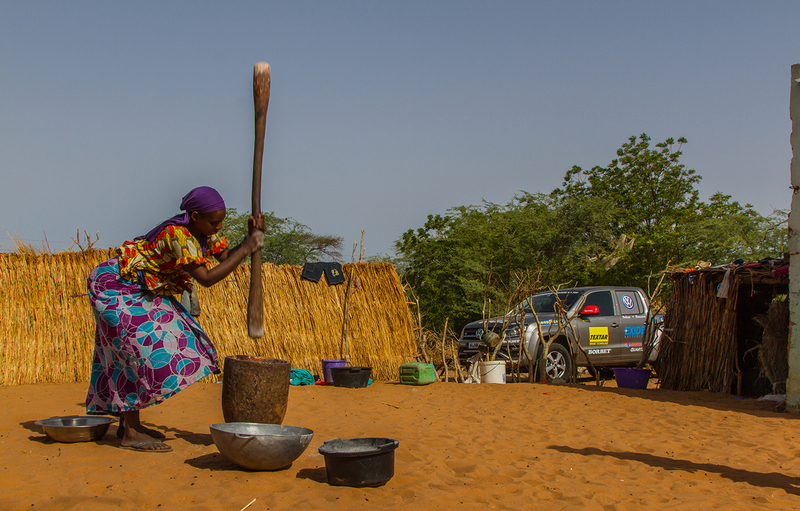 On our way to Dakar we passed a typical Senegalese village, where we met with locals, who showed us their houses and demonstrated the operation of handmade corn processing. 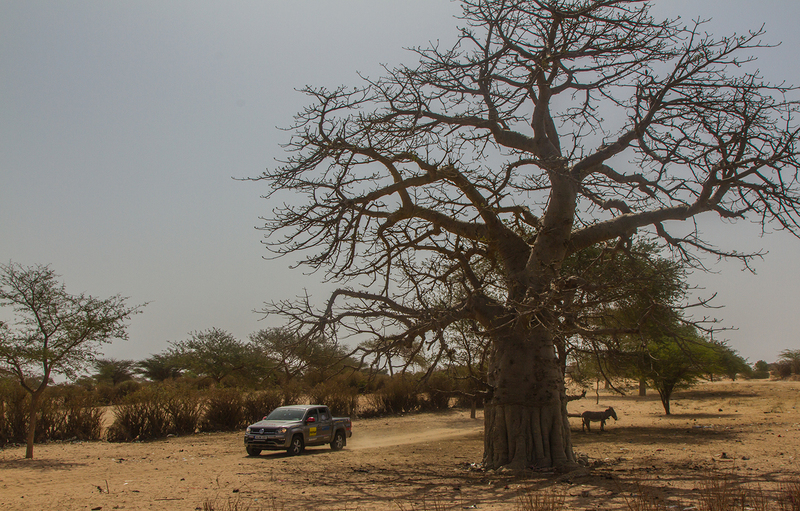 So we made some filming there and took pictures. 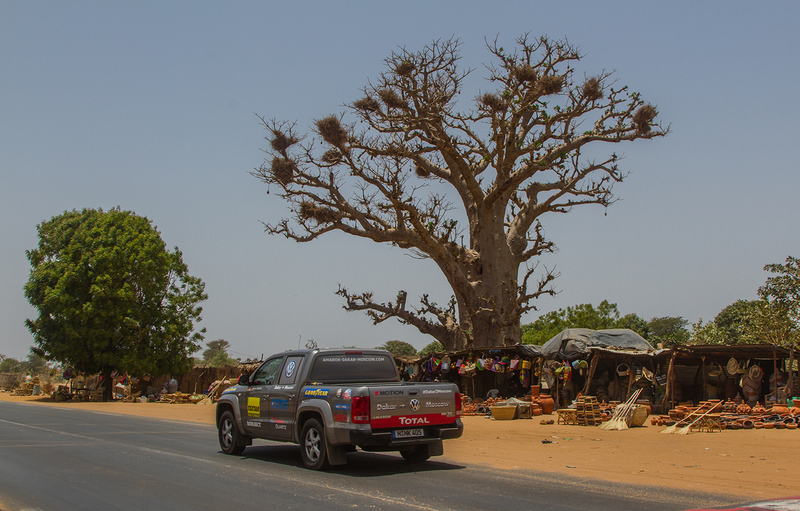 Another interesting thing we saw on our way were giant baobab trees growing close to the road – for us, of course, that was really exotic. 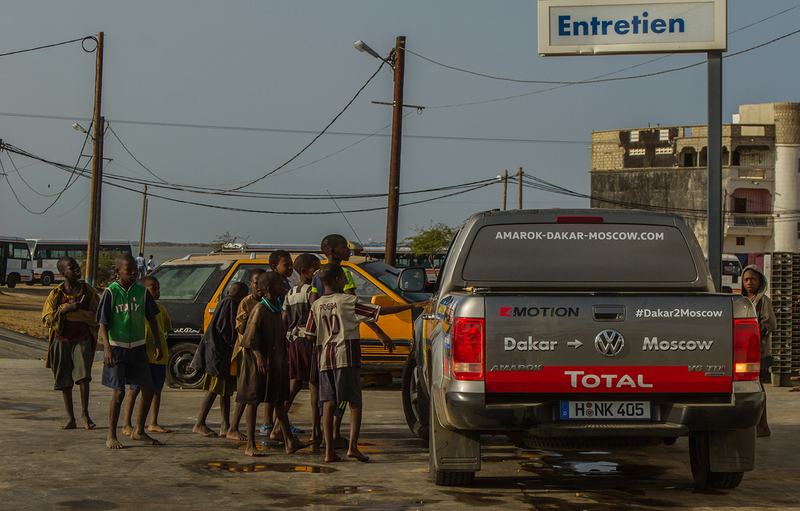 Some hours later we arrived in Dakar in the afternoon, where we’ll stay for two days in a nice hotel on the beach until our official start of the new world record long distance drive.